The Tuff-Tube® lining system is made from a patented urethane that seamlessly fits inside steel spouts from 4- to 20-inches in diameter, creating a barrier between seeds, grains and fertilizer and your expensive piece of equipment. Here’s why you need Tuff-Tube®. It lasts a really long time. The Tuff-Tube® lining system can be rotated 120 to 180-degrees, increasing its lifespan. When one side starts to wear, simply rotate it to the un-used sides. And, if coupled with our lined spout elbows, which have a permanently-bonded liner that matches up to the Tuff-Tube®, you can get total spout protection. You’ll never replace a spout again. Tuff-Tube® liners literally save your spout so when it does wear out, all you need to replace is the liner. It’s seamless. With a Tuff-Tube® liner you never have to worry about a piece of grain getting stuck between the liner and the spout. There are no buckling, plugging or peeling issues. Tuff-Tube® was developed with a top holding ring that sits on the top of the spout, helping to assure no grain, seed or fertilizer coming up the conveyor belt can get under the Tuff-Tube® liner. It eliminates downtime. Replacing a Tuff-Tube® liner takes about 10 minutes and can be done right on-site. The liner simply slides into the spout, without the need for elevator bolts to attach it, due to that great top holding ring that sits on top of the spout. There’s no equipment needed. It is available in lengths of 10 to 20 feet and can also be cut-to-fit in the field. When you do decide that Tuff-Tube® is exactly what you need to protect your machinery, we can get one to fast. 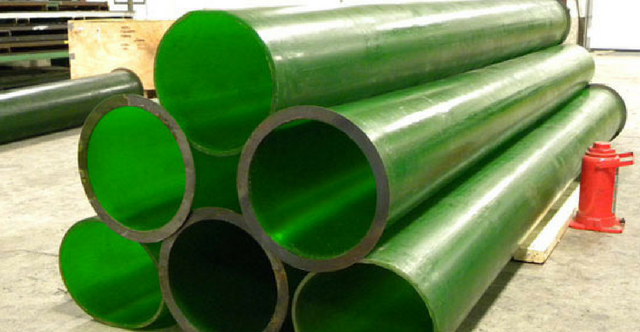 Once we get you a quote and you place your order, we will let you know when you can expect to have the Tuff-Tube® completed and ready for shipment. Check out our product page or call us at (866) 603-8661.